Commanding DNA to assume unique structures may sound like it just came out of a science fiction movie script, but it’s an integral concept that may be used to great effect in the field of Science and Medicine. It is a really smart technique that lets scientists manipulate tiny structures, ones that are at the Nano-end of the size spectrum. If they are able to do this, then they would be able to have an interactive relationship with human cells. They may be able to design nanostructures that would bind to harmful cells that might pose harm to the human system. 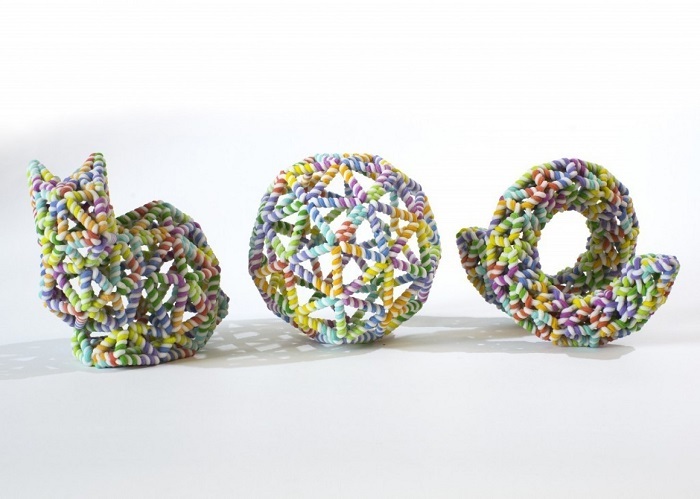 Such are some of the effective uses of the DNA origami. Researchers have recently delved into this branch of Science. Imagination and fitful purpose sparked an inspiration that would guide them to use their knowledge of nanostructures to craft easily manipulated vessels that may be used to ferry medicines or treatments to the body. It could be a means to incorporate a speedier healing method to specific systems in the body, without the risk of damaging the liver and kidneys in the absorption process. a rabbit converted into a folded DNA strand. To build a more relatable blueprint for the making of the algorithm for the nanostructures, a team in Sweden looked to the Seven Bridges of Konigsberg for inspiration. They want to apply the concept of singularity to the structuring of the Nano-shapes. They want these structures to be able to fold themselves into a scaffold-like manner that duly retain their strength and pliability without running the risk of collapse by doubling up as they are reshaped. The Swedish team has collaborated with computer experts at Aalto University in Finland to develop the algorithm that creates renders of these multifaceted outlines. The algorithm is basically used to maximize the shape of a DNA, manipulating the strand’s path so that it will follow their designs. They want to be able to make actual printouts of these structures, so that they would be able to determine the effectiveness of their algorithm. The team is making strides in the development of these nanostructures so that they would be able to share their findings and the algorithm to laboratories. These labs, in turn, would be able to replicate their work and find more complex structures to make and manipulate. This area of Science is really still at its stage of infancy and it still needs lots of work so that it can make greater steps into the world of practical and helpful use. If DNA could be manipulated, people would be able to get a more tangible hold on the tiny world that resides within the magnifying sight of the microscope. It’s a vast world where the smallest living things can make the greatest difference to a larger system. Disease could be prevented, expunged and eradicated. With DNA origami, treatment could be delivered to a cancer patient wherein a DNA strand could be manipulated to prevent the cancer cells from multiplying. It’s an interesting concept that one hopes would really get out of the science fiction books and into the lives of people. It’s good that it’s now possible.